Once you start a freelance career, the first and probably the most important question that may come to mind is how to get paid for work. Freelancing helps people to become location independent entrepreneurs. At the same time, being a business person you should think about proper solutions to accept payments from clients globally. Today there are many online payment service providers that can streamline payment processing for small and medium businesses on the web. However, not all of them work globally and not all of them are appropriate for freelancers. For instance, PayPal being one of the most popular online payment methods has limitations for merchants located outside the US, EU (and some other countries). Since the world of freelancing is not limited by the US and EU, there should be other ways to receive payments for independent specialists and entrepreneurs from around the world. I know that there might be a local payment platform operating on the territory of your country, but to feel the freedom of freelancing, you shall try to find clients globally and get paid globally as well. Therefore, in this blog post, I prepared a list of payment solutions for freelancers that work almost in every country. 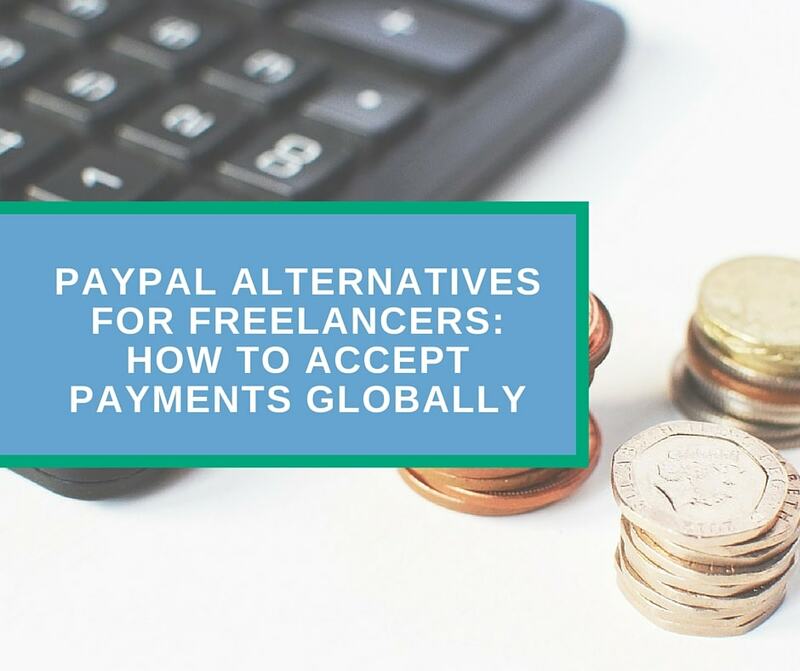 Over the last three years, I tested several payment options to find which one fits freelancing needs better and I found several decent alternatives to PayPal. Since all of them work globally, one of the main difference between them falls within service fees. Update as of 21.11.2017: Skrill, previously Moneybookers, is no longer considered as a reliable payment service provider by many online platforms (like UpWork). Therefore, I have to exclude it from this list. Payoneer is very similar to the other international services on this list. Same as Skrill, it is supported in over 200 countries. You can also withdraw money from UpWork to Payoneer account. However, a substantial advantage of this payment system in comparison to similar services is that you get a virtual U.S. bank account. This is very important for people living outside the US but who needs to receive money from US companies. As for the fees, Payoneer is not a cheap option. First, it has an annual fee of $29.95 for issuing Payoneer MasterCard and account service. Second, withdrawal from an ATM costs about $3. Third, there are transaction fees (they differ based on volume and location). However, you may save $25 by signing up using this link. After your sign up and receive a total of $100 from you clients, you will get $25 reward through a referral program. Despite its fees, Payoneer has managed to become popular payment platform around the globe. I have some regular clients from the US. Thanks to Payoneer US Payment Service I can issue invoices and easily get paid by US citizens and companies. In addition, I can easily withdraw money using the nearest ATM. Payza, formerly known as AlertPay, is an online payment processor that functions in a manner similar to PayPal. Receiving fee is 2.5% + $0.25 per transaction and withdrawal to a credit card will cost you about $8. Payza allows for adding funds using a credit card (with 5% transaction fee) or your bitcoin wallet (free). You will also have three withdrawal options: bank account ($25 fee), credit card (varies) and bitcoin (2% at current exchange rate). Using Payza you will get paid directly into your e-wallet. Payza works in over 190+ countries and in over 21 currencies. Get your FREE account with Payza. Though PayPal is an easy and secure method to receive payments online, it is not supported in many countries where talented people live and work. I think that in the time of globalization every person on earth shall have an opportunity to work and receive payment online regardless of his/her location. Thanks to the above services many freelancers around the world have an opportunity to receive payments from foreign clients. How do you receive payments for freelance services in your country? Share you experience in the comment section below!